Some environmental contaminants, such as mercury, lead, and arsenic, are very toxic and the symptoms of poisoning can be very insidious in onset, but this is not allergy, which is an excessive reaction to a very tiny amount of the allergen. Our homes are increasingly contaminated with chemicals, but to condemn all chemicals relatively new to our environment would be just as foolish as to accept them all as harmless. 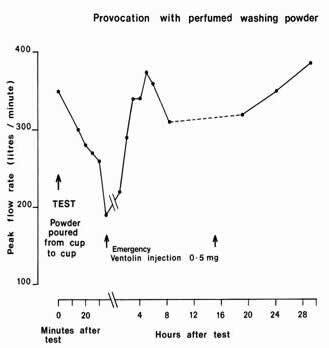 In my experience very few patients can be clearly shown to react to environmental chemicals, so it is difficult to know whether the case-histories shown here are exceptional, or if there are many others where the association has not been recognised. Are these cases the tip of an invisible iceberg? Are less extreme examples overlooked? Some chemicals are more liable to cause allergies than others, just as mites, pets, and pollen are the commonest natural substances to cause allergic problems, so it is important to know which chemicals are most allergenic and where they are to be found. For example modern furniture is often made with a mixture of sawdust and formaldehyde resin glues, which liberate traces of formaldehyde into the air for a long time after they are installed in the home. This produces the characteristic odour of new furniture and carpet shops which have an immediate effect on many people, but it is unclear how important this can be except to a few very sensitive subjects. 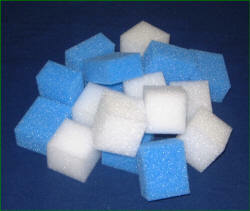 Many houses have had urea-formaldehyde foam, which is banned in Canada, installed as cavity wall insulation. In recent years there has been a great deal of scattered research on a group of chemicals called isocyanates, which very allergenic and used the manufacture of many plastics, especially polyurethane foams which are used everywhere in the modern environment. Many workers exposed to isocyanates developed occupational asthma. Recovery on removal from exposure was expected, but asthma quite often continued unabated. Much evidence relating to isocyanates and allergy has recently been reviewed, and has been pointed out that most homes today contain polyurethane foam products, such as mattresses, pillows, and cushions, so some exposure will continue in the home and could explain persistence of asthma. All these ubiquitous plastic products, which have only been introduced within the last fifty years, still contain traces of isocyanates left over from the manufacture of the polyurethane foam, so that our homes have become contaminated to a varying degree with these very potent sensitisers. The increase in use of these products in bedding has been found to increase in parallel with the increase in asthma in children in one study, and the increase in usage of this bedding material also corresponds to the development of asthma in ethnic minorities who adopt a western life-style. Isocyanates are the largest cause of occupational asthma and their greatest use is in the production of polyurethane foams during which there is usually an excess of isocyanate which is not totally used up during the chemical reaction which takes place during manufacture. This significance of this observation will have to await further research, but it has also been shown that sensitisation can be caused by absorption through the skin as well as by inhalation. Evidence for absorption of allergens by this route has been clearly associated with the causation of peanut allergy from ointments rubbed into babies skins which contain peanut oil, often called arachis oil on the label. 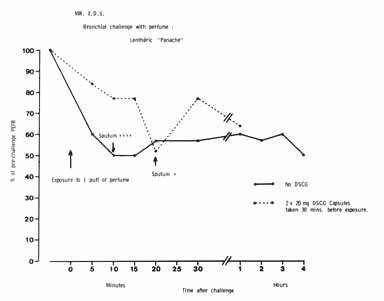 The development of dangerous allergies to latex over recent decades could be attributable to increased use of rubber gloves, and the simultaneous use of hand disinfectants which may damage the skin and facilitate the entry of latex allergens through the skin. Surveys have shown that cooking by gas causes increased pollution with nitrous fumes in the kitchen, especially without an extraction fan, and increases incidence of asthma. 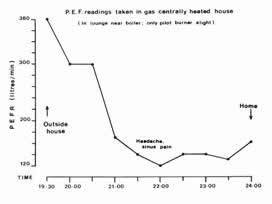 This patient insisted that gas was the cause of her chronic asthma, and even that she could tell within minutes if a strange house had natural gas or not, even when the central heating was off, by her chest tightening up, but the possibility was dismissed as impossible. Because natural gas has no smell it is necessary to add smells as a safety measure, so the Gas Company supplies ‘scratch’ cards which contain micro-encapsulated substances which, when scratched, liberate the smells which are added to gas so that householders will know what gas smells like. This patient reacted to only one, her peak flow dropping from 400 to 250 by three hours, so that she was reluctant to try this again.Further confirmation was obtained by making a 10% mixture of natural gas and air in a rebreathing bag and showing that this also produced a drop in the peak flow. 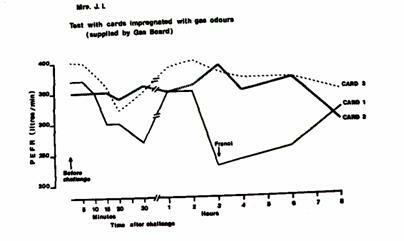 This case was obvious and easily confirmed, but how many similar cases exist where the patient is less observant, and chronic asthma caused by gas? Supplementary evidence was dramatic improvement on holidays, which could have been due to other environmental possibilities. In this case some confusion was caused by the fact that every time she went to the local pub with her husband she got asthma, which could have been triggered by smoke pollution or central heating. She did not like alcohol and always had orange juice, which she never took at any other time. Orange juice was proved to be the cause of the asthma, and if she drank apple juice nothing happened when at the pub. 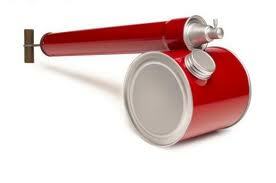 One afternoon I saw a 46 year old man with asthma so severe that I admitted him direct from out-patients. On my rounds the next morning I was surprised to find that he had made a complete recovery overnight with remarkably little treatment. His story was had had asthma for several years, and lived with his sister who had such an obsession with smells that there were air “fresheners” all over the house. I obtained a “freshener” and arranged for it to be secreted under the mattress without his knowledge on two occasions. The result each time was severe asthma by the morning, peak flow dropping from 450 to 300 l/min. 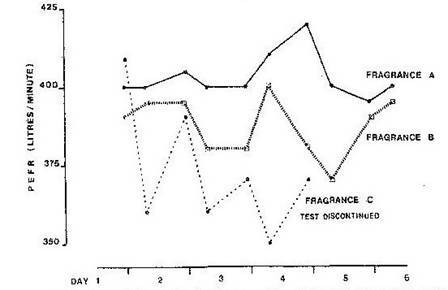 I then got in touch with the makers who supplied samples of the three “fragrances “, and by exposing him to each in turn established that only one of the three was responsible for his asthma, as shown by the peak flow readings after exposure. Unfortunately the makers refused to disclose the nature of these “fragrances”, but after all the fresheners were thrown out he had no more asthma. How many other asthmatics are caused, as in this case, or aggravated by these unnecessary “fresheners”? Insecticides can rarely be proved to cause allergic problems, although this is not unlikely as they are found everywhere in the environment. Unfortunately there are no pictures, so we only have her word for it, but this middle-aged lady who bought a new caravan is the most convincing. She and developed gross swellings on one or other side of the face on holiday for which she blamed the new caravan, but eventually noticed that the swelling of the face was related to the proximity of a block of insecticide she had hung near her cooking stove. If she hung it on her left the left side of the face swelled up, and on the right the right swelled up, so even a few feet away there were enough molecules of insecticide to cause this reaction. The significance of this sort of anecdote is very difficult to assess, but less extreme examples probably do occur without being recognised. Unfortunately she was unwilling to undergo a re-exposure so that photographic evidence could to be obtained. Another lady had had a poor sense of smell and chronic asthma for several years. The only clue was that she felt wheezy every time she was near the washing powders in the supermarket, even when in a strange supermarket where she did not know where the washing powders were. 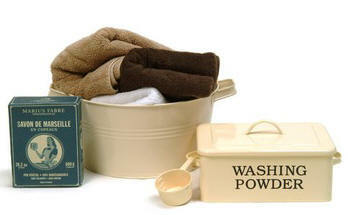 Enzyme containing washing powders are well known to cause problems, but she never used them. After admission to hospital for investigation she recovered completely in a few days, so a provocation test was carried out getting her to by pour the powder from one plastic cup to another to create a little dust. 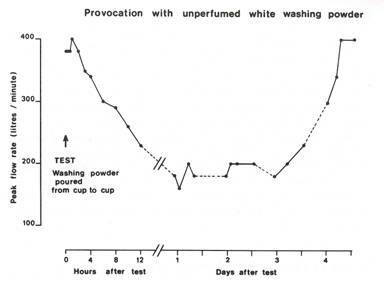 As shown, she had an immediate and very severe reaction to the scented powder, and a reaction lasting five days to the unscented. As she washed twice a week she constantly had asthma until the powder was proved to be the cause and she found an alternative. The actual chemical involved was never identified, but this unusual case suggests that less extreme cases probably exist which are not diagnosed. It was obvious that perfumed powder was much worse than unperfumed, as she had observed herself. On the way to his office in Nottingham in the morning this patient sometimes offered a lift to any young ladies waiting for the bus. He discovered that if they were wearing scent he would have quite severe asthma by the time he got to his office five miles away. This deliberate provocation test clearly proved that he would have to avoid ladies wearing scent. This case was obvious, but how many milder cases are not recognised? I have never found a woman with this complaint, except to washing powder! Environmental pollution can have serious secondary effects on the ecology of birds, plants, and insects. The most recent example is that a drug often used for arthritis, Voltarol (Diclofenac), has decimated the vulture population of India. This is because traces of the drug in the flesh of sacred cows treated with Voltarol are enough to cause kidney failure in vultures, thus causing a public health problem because the vultures had an important role in keeping the country clean.